Research is at the core of every one of our preservation actions. The belief that biodiversity can not be preserved by ad hoc actions is becoming an increasing tendency in the conservationist community. They think that the threat is too overwhelming to be addressed by the limited resources available in the form of projects that lack a strategic line and a sound basis for the monitoring of its activities. The field of research of Fundación ProAves has a 10 years proven experience and expertise in the design and implementation of projects that increase the scientific knowledge concerning some species allowing us to know the economic requirements for their conservation as well as the threats that would endanger their well being. ProAves has worked with 78% of the total endangered and vulnerable species of Colombia and our mission is to continue and to increase our research activities so that we will be able to design and implement conservational activities aimed at covering 95% of the population of endangered bird species in Colombia. The work that we have carried out so far has only been possible thanks to the generous donations of our contributors, the environmental agencies collaborating with us in the area and to the community that have always been closely and enthusiastically linked to each one of our projects. The parrot species belongs to the Psittacidae family, the world most endangered bird species. 21% of them are in danger and this is the reason why ProAves has dedicated its actions to look after these species since 1999. The aim of this project is to monitor and preserve neo-tropical endangered migratory birds. From 27 monitoring stations located in different regions of Colombia our team registers all the data concerning these migratory birds. 9% of bird species in Colombia are listed in any danger and 21% of these are endemic, ProAves understands its importance and struggle to keep them. ProAves is trying to implement a monitoring system for birds using the standardized methodologies available in Colombia. With this procedure the Foundation hopes to compile the necessary information to develop strategic programmes and to build the basis for the preservation of the different bird species endangered. 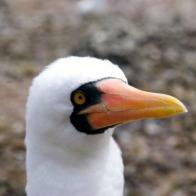 ProAves and other institutions spearheading ornithological research on the island of Malpelo, participated in the 16th banding expedition for the Nazca Booby as part of the “Expedition Seascape”. The expedition obtained valuable information on the population and breeding success of the Bobby. ProAves presented “YARÉ II Project: Research of the mammals of the Serranía de los Yariguíes and their conservation” in the first Colombian Congress of Mammalogy which took place from 19 to 23 September in Quibdo, Chocó. ProAves has deployed Camera Traps with movement sensors that photograph anything that passes in front of the camera. This technique has been used at many reserves with outstanding results, capturing images of over 40 species of rare mammals and birds as well as hunters. The study was conducted for 6 months at the Colibrí del Sol Bird Reserve by tracking the daily route of the parrots in order to obtain data on preference and habitat selection and identify potential changes in their movements in this area. The renowned magazine National Geographic published a page on the Yellow-eared Parrot (Ognorhynchus icterotis), bird logo of Colombia and conservation flag of ProAves. In an expedition with the support of ABC, ProAves has discovered 70-80 individuals of the Endangered Baudo Oropendola Psarocolius cassini which represents a major range extension. Videos and photos are presented of this little known species, previously only known from the Pacific coast. The amazing rediscovery of the Endangered Santa Marta Sabrewing in the El Dorado Bird Reserve has been published worldwide, from China to Canada, in more than 70 national and regional newspapers and TV. It has also highlighted the importance of conservation in the Sierra Nevada de Santa Marta. The first photo of a Santa Marta Sabrewing (Campylopterus phainopeplus) was taken on 24 March by Laura Cardenas in the El Dorado Reserve, which is the first confirmation of the species since 1946! This endemic hummingbird is highly endangered. A brightly colored, new subspecies of Mountain-Tanager has been discovered in Colombia. 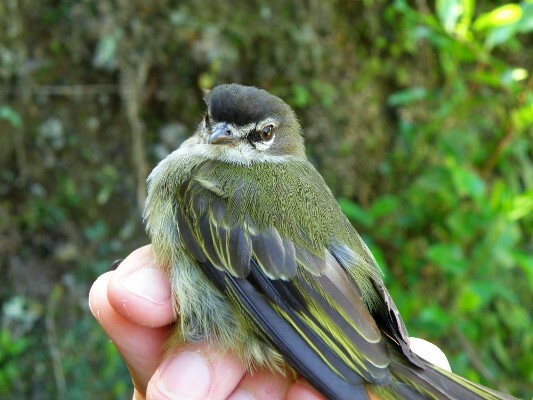 It was found close to ProAves’ Cerulean Warbler Bird Reserve in the Serranía de los Yariguíes mountains and formally described this month. A ProAves expedition, led by our Council member Dr Niels Krabbe to Páramo del Sol in Urrao, Antioquia, gathered data to establish that the Paramo Tapaculo (Scytalopus canus) at this site is a distinct species – endemic to a tiny area of treeline vegetation on Paramo del Sol and Paramillo. The renamed “Paramillo Tapaculo” is considered by ProAves to be at serious risk of extinction. A new species of butterfly with a moustache has been discovered and described by ProAves affiliated researcher Blanca Huertas and co-workers on Proyecto YARE. The new species is called the Magdalena Valley Ringlet Splendeuptychia ackeryi and is present around two ProAves Reserves in Santander and Antioquia. A previously overlooked subspecies of Ruddy Foliage-gleaner has been proven to be a distinctive species – the Santa Marta Foliage-gleaner – which is endemic to the Sierra Nevada de Santa Marta and found in the El Dorado Bird Reserve. The AZE Threatened Amphibian Assessment Project has located two Critically Endangered amphibians, and 18 other threatened amphibian species.